1. Your booking (if we are able to do so) will be confirmed on receipt of your deposit of 35% of the price of the trekking/tour/expedition/trip. You will be invoiced for the remainder of the cost, which is payable no later than 2-3 days prior to departure. If bookings are made within 3 weeks before departure, payment in full is required on confirmation of the booking. 2. If your balance is not paid at the specified time (unless previously arranged with us) we reserve the right to cancel your booking. 3. If you cancel your booking, your deposit will not be refunded. However, provided you notify us of your cancellation before your final payment is due, your deposit may be transferred to another tour listed in this website at any time period. 5. Should we cancel your holiday, your deposit and any other payments made will be refunded in full. However, if our cancellation is due to "force majored" any reasonable expenses we have incurred will be deducted from your refund ; war, civil or political unrest, earthquake... are usually known as force majored. All refunds and compensation are strictly limited to monies paid to us and we are not liable for any expenses you have incurred as a result of this booking. Your holiday will not be cancelled after the final payment is due unless we are forced to do so by force majored. 6. We reserve the right to alter the quoted prices in the event of external factors beyond our control, e.g. changes in exchange rate or government action etc. Should any price increase exceed 10% of the total cost you are free to cancel your booking and will obtain a full refund of all monies paid. However, no additional charge will be made less than 30 clear days before the date of commencement of your tour, except in the case of bookings made during that period where additional charges may be made up to. Every effort will be made to avoid any increases to the prices. 7. Although we are trying to arrange your hotel room, smoking preferences are not guaranteed. 8. 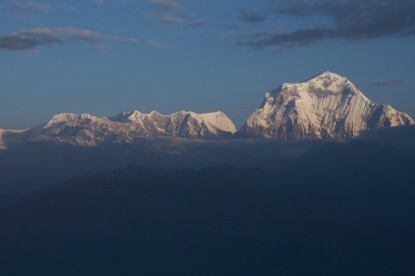 The tour leader or local ground operator who represents Adventure Thirdpole Treks has overriding authority on our tours. By signing our booking form, you agree to do this. If you commit any illegal act on a tour with us or if in the opinion of the tour leader or ground operator your behavior is detrimental to the safety and welfare of the group as a whole you may be asked to leave the tour without any right to refund. 9. Any complaints with regard to our tours must be immediately brought to the attention of the tour leader, ground operators or hotelier so that the necessary action to rectify the matter can be taken. 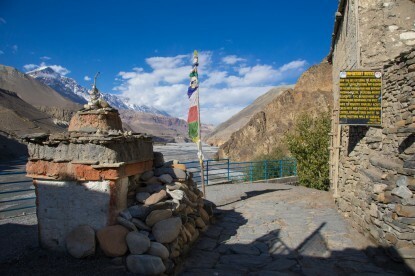 However, if by the end of the tour you still feel you have a valid complaint you must notify the company, in writing, within 14 days of the end of your tour with Adventure Thirdpole Treks. 10. These are adventure holidays mostly in developing countries where lower standards of infrastructure and efficiency often prevail and we can only accept your booking on the understanding that you are aware of the risks involved in this kind of travel. The company cannot be held responsible, unless as a direct result of negligence, of any mishap to you or your property. 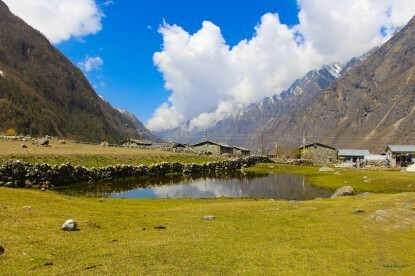 Route and hotel changes may be necessary and will always be at the discretion of the trek leaders and Adventure Thirdpole Treks. They do not constitute an alteration of your holiday and will not be compensated. 11. It is essential that you obtain suitable holiday insurance before joining one of our tours. This must cover you fully against repatriation costs should you become too ill to continue with the tour and must, above all, cover the evacuation of yourself from remote regions, should the need arise. 12. Under no circumstances can Adventure Thirdpole Treks and any of our ground operators or representatives be held responsible for any wildlife mentioned in our web site or itineraries, but not actually seen during the holiday. 13. On accepting your booking we agree to carry out our obligations to you as defined. By proceeding with this reservation, you agree to all terms and conditions, including all terms contained in the User Agreement. 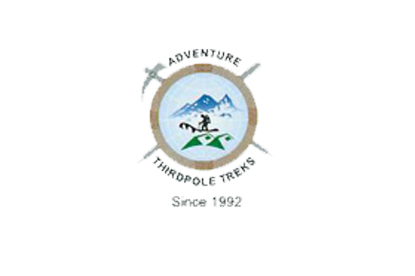 A contract will exist after Adventure Thirdpole Treks accepts your reservation. According to the customer's requests; Adventure Thirdpole Treks can communicate by sending email and/or fax and/or phone. You agree that all notices, disclosures, agreements and other communications that we provide to you electronically or by fax or by phone satisfy any legal requirements that communications be in writing. You warrant that you are at least 18 years old and posses the legal authority to enter into this agreement and to use this website in accordance with the terms and conditions of this agreement. You agree to be financially responsible for all of your use of this website. You also warrant that all information supplied by you in using this website is true and accurate. This website is for your personal and non-commercial use; in accordance with the terms and conditions of this agreement, and as a condition of your use you warrant and represent to Adventure Thirdpole Treks that you will not use this website for any illegal purpose or for any purpose that is prohibited by the terms and conditions of this agreement. Specifically, you may not modify, copy, distribute, transmit, publish, display, license, create derivative works from or sell any product, services, information or software obtained from this website.